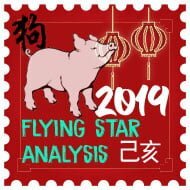 Chinese New Year will usually be a very manic time leading up to the celebrations and festivities which is why we have made this comprehensive Chinese New Year Checklist for 2016, the year of the Yang Fire Monkey (Bing Shen). Chinese New Year brings so many jobs and tasks that need doing and every year around the home and office that I go through the home and office that I tend to forget things that need doing which is why I originally created a checklist to tick off as I go through all of the tedious tasks and last year, I decided to share it on the website for others to add or change how they like and the feedback has been amazing and I am so thankful for all of your kind words. 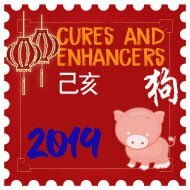 The list below is the same list that I go through every year during Chinese New Year and this year, I have tailored it to the year of the Monkey and included where to place the 2016 Annual Cures and Enhancers and colour suggestions for the year which will hopefully make it a bit easier when going through everything before the start of the year of the Monkey. Please feel free to share this list with your friends and family. 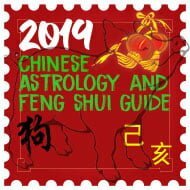 □ Ensure that house, flat, office or any other building is completely clean from top to bottom, to encourage good luck in the coming year.□ Open all the windows and doors in every single part of the home as this is said to bring in clean, new good luck for the year. □ Switch on all of the lights in the home inside and out as this is said to attract good luck from outside and if the windows and doors are wide open it is easy for the luck to enter. The bright lights and open windows are also used to scare away evil spirits. □ Buy a new pair of slippers at New Year, apparently it is said to stop people gossiping about you, In China, face and reputation is very important. □ Avoid arguments, using knives, driving too far and they love to gamble on New Year’s day as they hope to create good luck and wealth. You can read more on this below. □ Do not punish or discipline the children. Otherwise, they will have more arguments in the New Year. □ Refrain from using a knife or scissors in the kitchen. 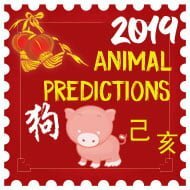 □ You should not wash yourself on this day which mean do not take a bath, shower or wash your hair on Chinese New Year’s Day as this will wash away all good luck for you personally. □ Refrain from wearing black or white colours when visiting friends on this day as these colours are associated with funerals and death. □ When you wake somebody up on this morning, do not use their name as it is said that this person will be dependent on you all year long to motivate them. □ Do not wash any clothes on this day as Chinese New Year Day is the birthday of the god of Water. □ Do not cut your hair or nails on this day as it is believed that you will be bringing pain to your relations. □ Keep everything positive and do not talk about anything negative on this day as you will be setting an example for how the rest of your year is to be lived. We are more than happy to share our content; all you need to do is give us credit for our hard work and a link back to our website. Please feel free to share this checklist with your friends and family as we believe that the more you share, the better the Karma…!